Educa produced this puzzle in 2009. The title is Tears on Ice, by Victoria Francés. 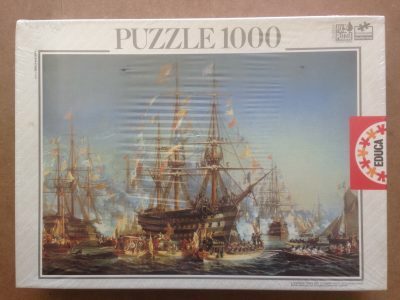 Educa has published many puzzles with similar gothic paintings which seems to be very popular. For that reason, most of these puzzles are becoming very difficult to find, even when they are not really very old. There are many puzzles with paintings by Victoria Francés, mainly by Educa and Heye. For example, Heye produced in 2015 a 1000 pieces version of Dark Rose. 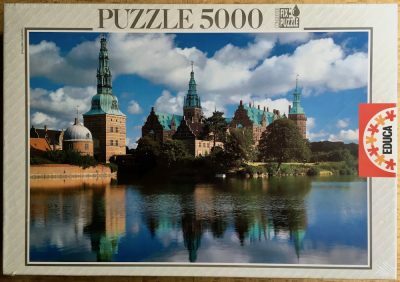 Puzzle size: 68 x 48 cm.